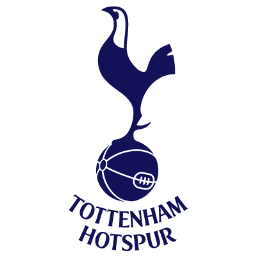 Premier League Preview for Tottenham v Manchester City along with Predictions for the week 34 EPL match. Follow up each match with results and video highlights posted later in the week. You can also check out the weekly EPL TV Schedule. This is probably the biggest match of the weekend with the most at stake. Tottenham still have hopes of finishing in the top four and a win against Manchester City would be absolutely massive. They are currently in fifth place with 58 points and a game in hand on Arsenal (in fourth). Manchester City is coming in having won three straight, although they just slipped past Wigan with a 1-0 win at home. I’m sure they still have some small hope of retaining the Premier League title despite the 13 point gap. The fact that is down to 13 instead of 15 would continue to give them that bit of hope. United may need only 6 more points, but until they actually wrap up the title, City will feel they have a chance. Both teams have some injury concerns going in to Sunday’s game, although Tottenham arguably have the larger list. Currently it looks like several players could be available including Gareth Bale, Jermain Defoe and Aaron Lennon, but it is still questionable whether any of them will be fully fit or even match fit and ready to play such a highly intense match. Manchester City do have Sergio Aguero and David Silva out through injury, but it looks like Silva might be back in time for this match. I would say that this isn’t necessarily a boost for them considering his play this season. At least with him out it does give Samir Nasri a chance to prove himself.